An upcoming version of Firefox Mobile is being designed to have a more native feel on Android 3.0 tablets, while maintaining Firefox's distinctive look and feel such as the browser's large back button. Giving Firefox users a sneak peek, Mozilla mobile device user experience designer Ian Barlow recently posted some mock-ups for the new Firefox version on his blog. Barlow says Mozilla's designers are hard at work to "make Firefox awesome on tablets" by maintaining the work done on Firefox Mobile targeted for Android phones while taking advantage of a tablet's larger screen real estate. Firefox Mobile 6 released in mid-August already has a few tablet-specific improvements in it such as larger buttons and font sizes, but Mozilla is looking to create a more complete tablet-friendly browser. Barlow says the overall theme will be very Honeycomb-like drawing on what Barlow calls Android 3.0's "minimalist design language." 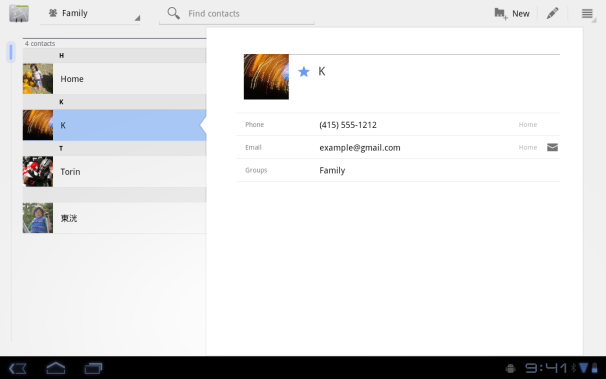 Compare, for example, Barlow's mock-up above with Honeycomb's stock contacts app. In both cases, the interface elements such as navigation buttons and menu icons are thin and colorless so as not to draw away attention from the content in the main viewing pane. 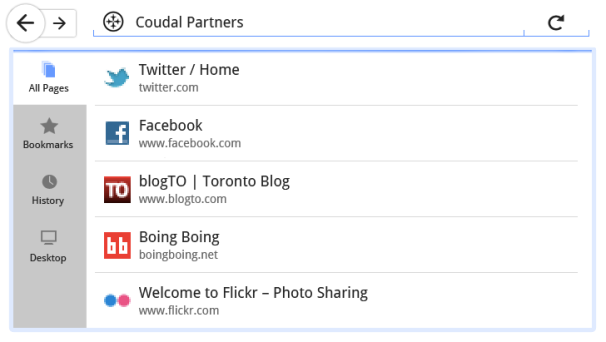 Firefox wouldn't be Firefox without the Awesomebar introduced in Firefox 3.0. Firefox Mobile for Android tablets puts the Awesomebar's tabbed menu on the left hand side for quick access to your bookmarks, browsing history and Firefox Sync content. 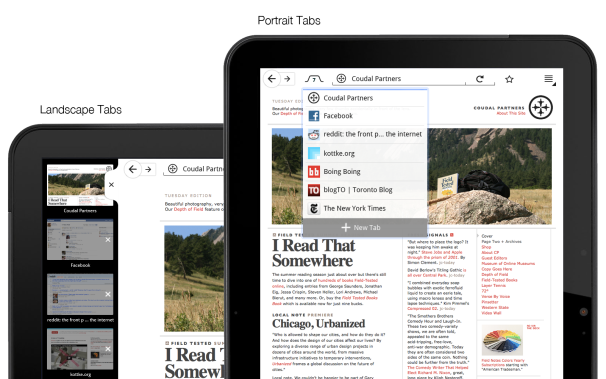 Firefox on tablets will be getting two ways to view tabs. In landscape mode, the tabs will show up in a persistent bar on the left hand side of the screen. In portrait mode, the tabs will be stored in a drop down menu at the top of screen. That's all Barlow had to share for now. If you'd like to see more of what Mozilla has in store for Android tablets you can check out Barlow's Flickr page with tablet mock-ups or this early sketch of Firefox Mobile on Honeycomb tablets. Just keep in mind these are all early design ideas and interface design concepts are subject to change.